We now know what one of the more than 10 game announcements coming at The Game Awards next week will be. Show organizer Geoff Keighley revealed today that Fallout: New Vegas 2 was among other games that Eternity developer Obsidian will reveal during the awards show. As announced previously, the title will be published by Rockstar Games' parent company Take-Two Interactive's new indie publishing company Private Division. Microsoft recently acquired Obsidian, but the developer's new game will still be published by Private Division. It remains to be seen how Microsoft may be involved. The Obsidian website now features a pop-up that displays a number of interesting teasers. According to Kotaku's Jason Schreier, the new game is being worked on by two Fallout 1's designers, Tim Cain and Leonard Boyarsky. Nothing else is known about Obsidian's new RPG, but Keighley confirmed on Twitter that it is not a mobile game. Additionally, Obsidian already confirmed the game won't have any microtransactions. The Game Awards 2018 takes place on Thursday, December 6 at 8:30PM EST. Airing live from Los Angeles, the 5th annual show celebrates the best video games and esports of the year, and world premieres the most anticipated games of the future. One of the other reveals could be Alien: Blackout for console and PC, but that's all we know so far. The Game Awards aren’t available on television, but you can stream them from a variety of different services across multiple devices. Last year’s show was streamed on Twitch, YouTube, Facebook Live, Steam, and Mixer, as well as directly through Xbox One and PlayStation. Many of us have been screwing around in the beta for several days now, but it's time to finally dive into West Virginia with both feet. Bethesda's ambitious, Fallout 76 launches on Wednesday, marking arguably the most interesting AAA release of the fall season. It's a Fallout game, make no mistake about that. It's just a very strange Fallout game, one that both fits the mold of previous titles and totally turns the idea on its head. First things first, however: this is an online game, and so we're not playing until servers go live and the developer lets us loose into the world. 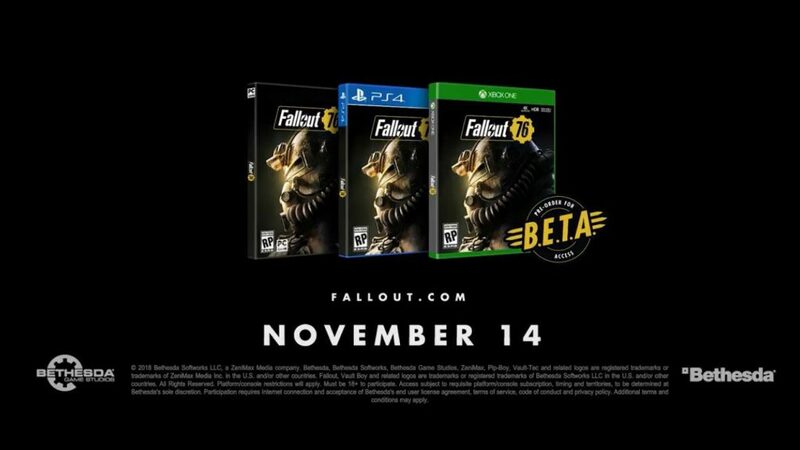 Bethesda is doing a traditional rolling launch for Fallout 76, and so the game will be launching at 12:00 a.m. local time on launch day, November 14. So it's pretty straightforward to figure out when you can play. If it's November 14, hop on in. Or hop on in after you've downloaded the day one patch, more accurately. This game comes with a massive 53 GB day one patch, which is actually larger than the initial install of 45 GB. We assume that is related both to the general necessities of working on a game up to release date as well as development work that Bethesda has done in the wake of several betas that have no doubt given the team a thousand new bugs to patch. I have to admit, I'm excited about this one. Bethesda is known for building out rich, complex worlds teeming with in-game politics, NPCs and extensive quest writing. The idea here is similar, but the developer wants players to do most of the heavy lifting when it comes to actually pushing the game world forward: there are no NPCs in Fallout 76, and so the game is meant to be a blank canvas with which players can get as weird as they want. And yet, for all of that, I truly enjoyed my time with the beta, and plan on playing a ton after it comes out. One of my favorite parts of Fallout 4 was just wandering and collect stuff and build my settlement, oh, and killing things that wanted to kill me, and that's basically the whole point of this game. So let's see how it goes. One of the most surprising moments of E3 2018 was when Phil Spencer mentioned that the next-generation of Xbox consoles were already in development and codenamed Scarlet. No further details were shared beyond that, but a new report may give fans a better idea of what to expect from Scarlet and the future of Xbox. Thurrott reports that Microsoft plans on launching two distinct versions of the next-generation Xbox. One version will be a traditional home console that will play games locally, but the other will be a cloud-based streaming box that has been referred to as Scarlet Cloud. The cloud-based Xbox console will be made to stream games from Microsoft’s upcoming game streaming service, and will reduce latency by running games both locally and through the cloud. Whether players choose to purchase the traditional version of Scarlet or Scarlet Cloud shouldn’t make a difference in terms of what content they can access. Both Scarlet and Scarlet Cloud (and apparently other devices as well, such as PCs) will have access to Microsoft’s game streaming service, which will presumably be an evolution of the Xbox Game Pass that currently requires players to download each title individually. In its report, Thurrott also reiterated that Microsoft is looking to release the next-generation Xbox consoles in 2020. Since Microsoft has already started teasing the next-generation of Xbox hardware, 2020 does seem like a reasonable release year. Depending on when in 2020 Microsoft plans on launching the Scarlet family of consoles, we may even get some concrete details at E3 2019 next summer. 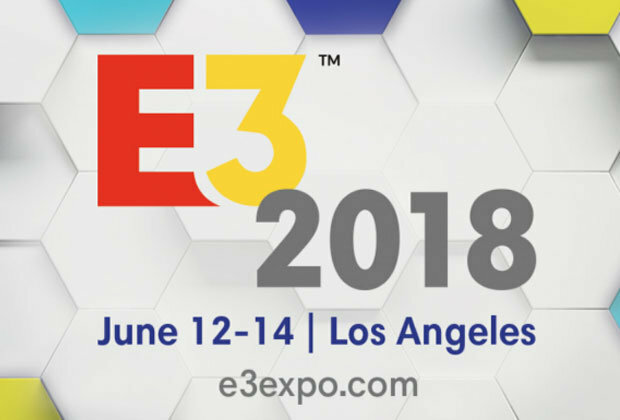 E3 2018 will take place from June 12-14, 2018, at the Los Angeles Convention Center. The 2018 expo will mark the 21st time E3 was held in the Los Angeles area. The biggest stage in gaming for reveals and news drops formally kicks off at the Los Angeles Convention Center on the 12th. But really, the show informally kicks off a few days earlier, on Saturday, when the annual gauntlet of press conferences begins. The actual E3 event starts on Tuesday shortly after Nintendo's stream ends. But if you're not going to be hanging at the Los Angeles Convention Center next week, the press conferences will be your best bet for getting up-to-the-minute E3 news as it unfolds. See our Events Calendar for more info and links to watch the conferences. While the Xbox One does not have an official, Microsoft-approved plan for support of keyboard and mouse controls (at least not yet), there are ways to do it. One way is through the use of adapters. Microsoft is apparently aware of this, but the company is not taking action in the case of multiplayer shooters--where keyboard and mouse players would theoretically have an advantage. The reason? According to Xbox engineering lead Mike Ybarra, Microsoft could block keyboard and mouse setups on console, but won't do it because the company wants to give developers the freedom to operate their games as they see fit. Not only that, but a keyboard and mouse setup can be a helpful solution for players with accessibility considerations. For a long time now, Microsoft has said it is considering bringing an official keyboard and mouse solution to the Xbox One. 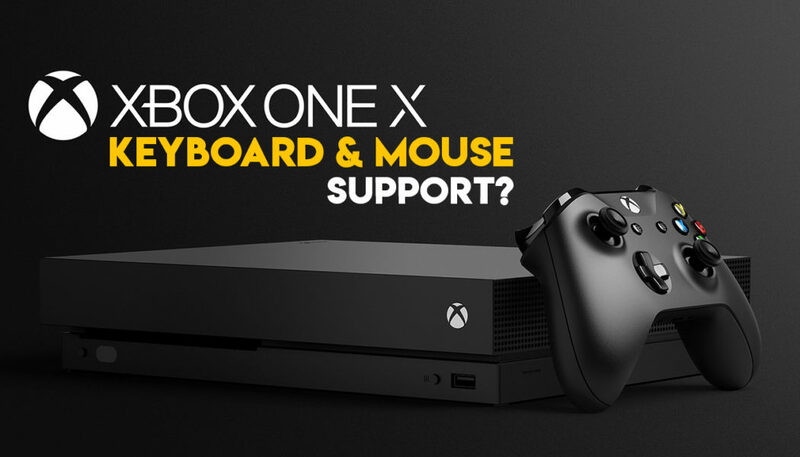 In September last year, Ybarra said keyboard and mouse support is "definitely coming" to Xbox One, but he didn't say when or in what form. Ybarra said Microsoft understands the concerns people have about keyboard and mouse users having the upper hand against people using a controller. "We have to be very smart in how we do that. We'll leave it a lot up to developer choice," Ybarra said at the time. "A lot of people tweet me and say, 'You can't do this because of fairness,' and we understand that. We run two platforms; the Windows platform and the Xbox platform." Ybarra said one solution is that developers can create systems in their games that allow players to decide if they want to play against people using controllers or a keyboard and mouse setup. In fact, Microsoft's Gears of War 4 supports cross-play between Xbox One and PC, and the company already tested the waters with controller versus keyboard and mouse setup. Xbox One players can choose whether or not they want to play with PC users. Would you like to see official keyboard and mouse support on Xbox One? Let us know in the comments below! As promised, Xbox One backwards compatibility with original Xbox games will arrive this year. But the feature is coming much sooner than we expected, as the first games arrived Tuesday, Oct. 24. A total of 13 games will be supported initially on Xbox One. 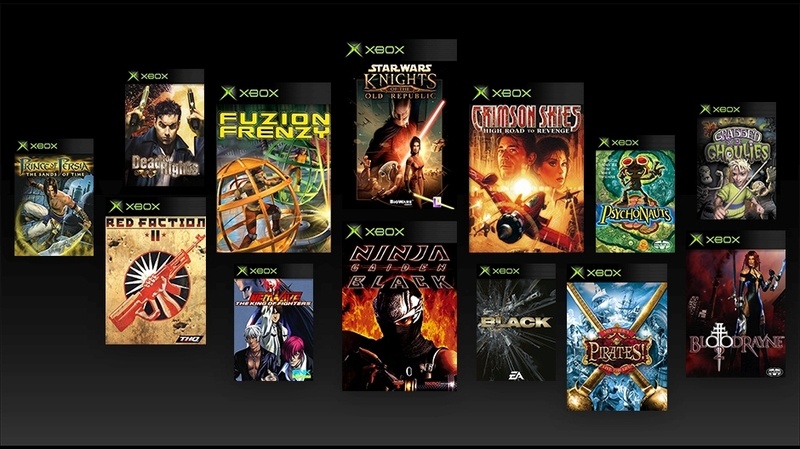 Microsoft shared a list of these games on the Xbox Wire, and in addition to the two we'd repeatedly heard about -- Crimson Skies: High Road to Revenge and Fuzion Frenzy -- we'll also be able to play Ninja Gaiden Black, Star Wars: Knights of the Old Republic, and Black. The video below showcases what Knights of the Old Republic looks like running on an original Xbox versus an Xbox One S. While you're unlikely to mistake it for a newly released game, it does look noticeably better, with sharper textures and less aliasing. Xbox games will not be added to the backwards-compatibility list on the same sort of timetable as Xbox 360 games. Following this initial set of 13, the next "batch" of game will arrive sometime in spring 2018. The all-new trailer for Red Dead Redemption 2, the story of outlaw Arthur Morgan and the Van der Linde gang as they rob, fight and steal their way across the vast and rugged heart of America in order to survive. Coming Spring 2018 to PlayStation 4 and Xbox One systems. This will be a prequel about Dutch's Van der Linde Gang from the first Redemption game. This means we will get to see John Marston when he was younger and more rogue. Hunting, Horse breaking, and train robbing are activities featured. The 2017 Call of Duty World League Championship is headed to the East Coast of America for the first time, as the top 32 teams in Call of Duty today will compete at the Amway Center in Orlando, Florida on Aug. 9-13. With the 2017 season offering the largest season prize pool in Call of Duty history of $4 million, it’s only fitting that the Amway Center, set to be one of the largest venues that will host a Call of Duty tournament to date, will be the place where $1.5 million of that prize pool will be on the line. Part of the City of Orlando’s largest redevelopment plans in the city’s history, the Amway Center has played host to All-Star Games and world class performing artists, and will now hold its first major esports tournament.